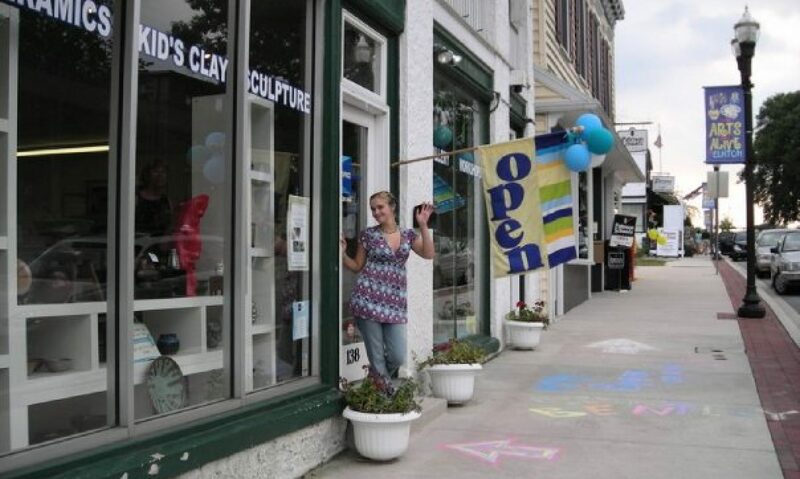 Art Space On Main is the premier pottery studio in the Tri-State area. Located in downtown Elkton, Cecil County MD, we are ideally situated on the Maryland / Delaware / Pennsylvania borders and less than an hour drive from Philadelphia and Baltimore. Our studio space boasts over 3000 square feet of modern equipment and facilities, as well as our adjoining gallery and gift boutique. We are a working pottery studio averaging 30 on-site artisans. This means, not only can you shop the gallery but you can tour the site and learn about the process by which your pieces are made. We believe this brings about a greater appreciation for the time and attention that goes into each of our gallery treasures. A visit to Art Space On Main is more than looking at pretty art or purchasing a thoughtful gift, it is an educational experience. Also, because we are a working gallery we can provide on-site classes for beginner and the more advanced ceramicist.